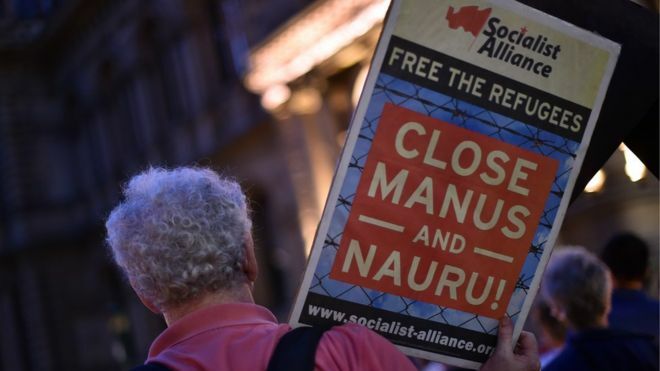 Australia and the US have reached a resettlement deal for asylum seekers held in offshore detention centres in Papua New Guinea and Nauru. Under the agreement, the migrants there will be assessed and the most vulnerable will be resettled in the US. About 1,200 people are being held in the asylum centres on Manus Island in Papua New Guinea and on Nauru island. Australia’s policy of sending migrants who arrive by boat to offshore facilities has been criticised. Announcing the deal with the US on Sunday, Prime Minister Malcolm Turnbull said the resettlement process would be gradual. “US authorities will conduct their own assessment of refugees and decide which people are resettled in the US,” he said. He did not say how many refugees would be relocated, but said that women, children and families would be prioritised. The agreement, to be administered with the United Nations refugee agency UNHCR, is available only to those currently in the processing centres. “It is a one-off agreement. It will not be repeated,” Mr Turnbull said. US Secretary of State John Kerry confirmed the arrangement, adding that his country was “very engaged” with the UNHCR and helping refugees “there and in other parts of the world”. Refugees who are eligible for asylum in the US but reject it would be offered a 20-year Nauru visa instead. Mr Turnbull said that the detainees who have had asylum applications rejected should return to their home countries. Earlier this year, Australia said it planned to shut the Manus Island asylum centre, although a closing date has not been announced. The government has faced condemnation over conditions at the two detention centres, which are run by private companies. In August, leaked “incident reports”, which the companies are contractually obliged to provide, revealed that self-harm and violence were commonplace at the centre in Nauru. Australia has been repeatedly criticised for its tough policy on refugees and asylum seekers. Last month an Amnesty International report said the conditions imposed on asylum seekers was a “deliberate policy to inflict harm”. 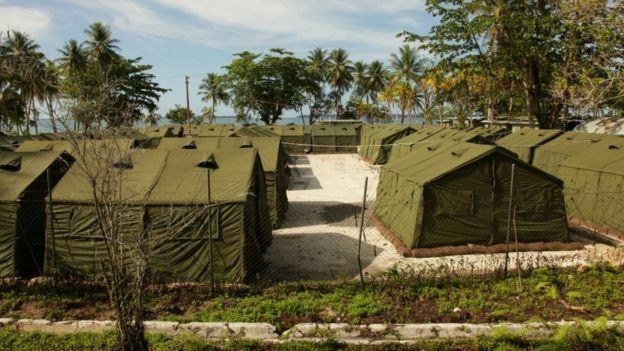 #Australia and the US have reached a resettlement deal for asylum seekers held in offshore detention centres in Papua New Guinea and Nauru.